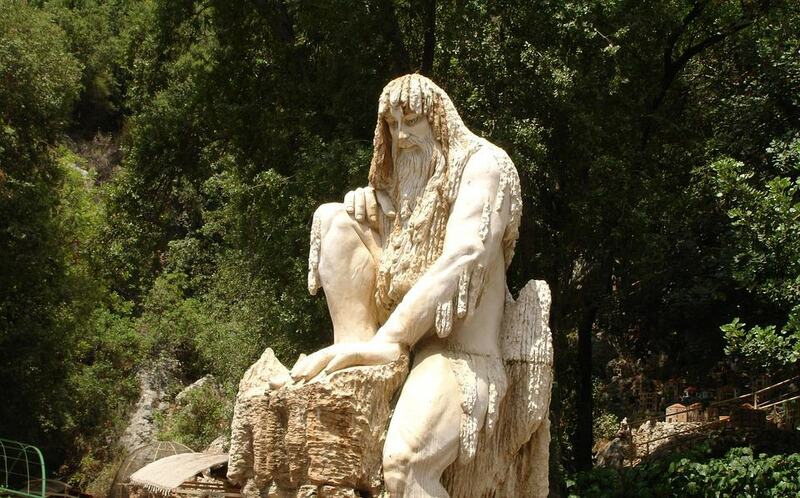 A statue in Beirut, Lebanon, where some of Tom Sleigh's poems take place. All poets are created differently. In the case of Tom Sleigh and his poetry, it’s like having someone running constant video of the world until the end of the year then editing the most interesting footage and transmuting it into words. That’s how we have Tom Sleigh. And that’s particularly how we have “House of Fact, House of Ruin”. Take a read of an excerpt from “Before Rain” from Tom Sleigh’s “House of Fact, House of Ruin”. DC Life Magazine: Do you remember the moment you decided to write “House of Fact, House of Ruin”? Tom Sleigh: In a way, you could say that I’ve been writing this book for something like ten years when I first began to do long-form essays on refugee issues in the Middle East and Africa. The intensity of seeing the lives of refugees up close—of conducting interviews with them, and experiencing over several visits what life was like for them in the camps, as well as in cities like Nairobi, Beirut, Damascus, and Amman—naturally worked its way into my poems. And since I’ve been writing prose about these issues for a decade, oddly enough it turns out that I’ve also written a sort of unofficial poetic trilogy, all published by Graywolf: Army Cats in 2011, Station Zed in 2015, and House of Fact, House of Ruin in 2018. Army Cats is partially rooted in Lebanon and Syria; Station Zed in Iraq, Kenya, and Somalia; and House of Fact, House of Ruin in all the places I’ve mentioned, plus Libya and Jordan. And lest anyone suppose that I’m writing these poems about Elsewhere, I think of these poems as having everything to do with how Americans conceive of their freedoms and responsibilities to one another here at home and abroad. DC: Would you agree that these poems have a very journalistic nature to them? TS: That’s interesting that you’d say that, and I can certainly see why you would. Insofar as I’ve always loved precise descriptive writing and all varieties of reportage, I’d agree. But I think that the poems differ in all kinds of subtle, and not so subtle ways from the prose accounts of these events. In one poem that deals with a child who is starving to death during a famine, I work through the framework of The Egyptian Book of the Dead and the concept of Bardo. Given that the newly dead spirit has to make its way through a realm of darkness and may get lost there and never make its way to the realm of light, this seemed like a suggestive metaphor for the lives of refugees. They come to the camps because they have to, but whether or not they’ll go back home is terribly uncertain. So in a sense, they live in the Bardo that our world has created for them. Which is not to say that refugees don’t live as intensely and fully as anyone else. I don’t want to add to the cliches of camp life being nothing but unremitting misery. So many of the people I’ve met display amazing endurance, resilience, and undeluded hopefulness under conditions of military occupation, famine, and war. And in other poems, the organization of the material is far from the sequential logic of prose. The associative movement of poems is what I’m most attuned to, and whatever the subject, that movement tends to assert itself. DC: Where does your inspiration to write come from? TS: Don’t I wish I knew! It might make it easier to write poems! But maybe not, maybe the not knowing is part of the pleasure for me, the adventure of sitting down at the desk every day (or trying to). I can say that the impulse to put words down has its own imperatives and that it’s my job to understand and fulfill them. So I listen to what the language itself has to tell me, and I follow wherever the language is the most interesting. Beyond that, I’d have to say my reading. I take my reading very seriously, it’s a large part of my daily experience, so naturally, it inspires me to respond to other poets and writers and artists of all stripes. DC: Can you share one line from these poems that are among your favorites and why? DC: Do you find the current times we live in to be ripe for poetry? TS: Well, it’s the only time I have, so it better be! But seriously, I’ve seen period styles come and go, reputations wax and wane, I’ve been inside and outside bubbles of taste. For me, no matter when they lived or what language they wrote in, all poets to me are contemporaneous, at least while I’m reading their work. DC: What “important hint” would you give to an aspiring poet? TS: Don’t get stuck inside your own generation. Look beyond it, read writers of every century as if they were your contemporaries. Otherwise, you’re hobbled by the cliches and assumptions and conventional wisdom of your own time. Look at identity through the lens of history, not at history through the lens of identity—after all, you’re only on the planet for a few years. DC: A fun fact about you? TS: If I had my druthers, I’d be body surfing right now at Blacks Beach.